I watched the Voyage of the Dawn Treader Narnia movie last week. It's been a long time since I read that series, and I couldn't quite tell which scenes were true to the book. Some things seemed familiar, but some things didn't. It made me realize I only have the faintest memory of those books. I do remember my favorite thing about the Chronicles of Narnia. It wasn't the characters, or the adventures, or C.S. Lewis' writing style, or the Sunday School agenda. Nope, I barely remember that stuff. What I do remember are the paperback covers. The psychedelic ones, where it looked like Narnia was just a few blocks from Yellow Submarine's Pepperland. 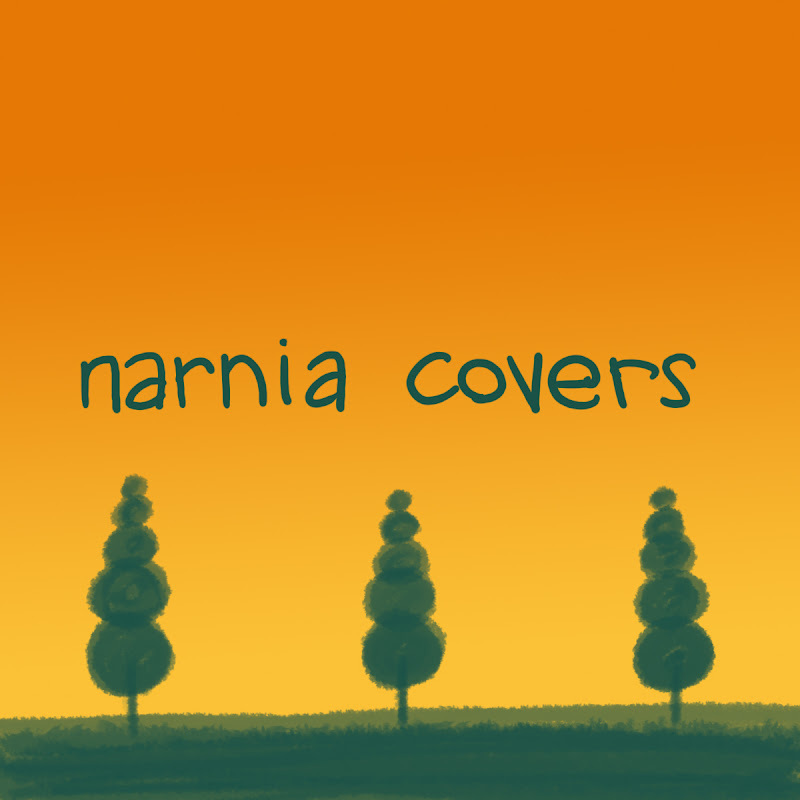 I spent a lot of happy hours staring at those covers. So, for fun, I'm going to see if I can draw them from memory--it's been at least 20 years since I've seen them. I won't look the originals up (I'm sure they are just a Google search away.) Afterwards, I'll post the real covers and we can compare and contrast. Just for kicks, I'll see what I can remember from the actual books themselves too. Tomorrow, I'll start with The Lion, The Witch and the Wardrobe. I am so excited! I shall refrain from the impulse to google. Nice banner at the top. I'm glad you are going to keep up the blog. Good luck with all the deadlines! I still have some of my original scholastic copies! Those were funky covers, weren't they? I had a hard time moving on when it was time to replace our set. But at least the new ones still have the same internal illustrations. I should introduce you to the cover illustrations from our Let's Pretend vinyl record series that we grew up with. You'd love them! But I want to google! I want to see if they're right! Now that's a fun idea.